Substance abuse is the costliest as well as the worst addictions of all. It not only empties your pocket but also takes a serious toll on your health and wellness. So, if you are planning to sneak into a party this weekend, hold yourself back. 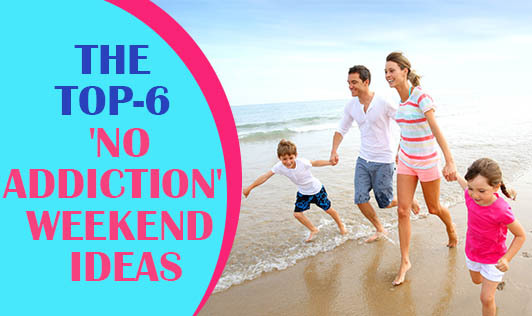 A variety of safer and smarter options can be considered to include as your weekend fun activity. Here's how you can spend your weekends in a more meaningful manner. Join any group activity. Go for group adventures. Make new friends, spend time with them and do activities like hiking, biking, or snorkeling which can rejuvenate you physically as well as mentally. Spend time with parents, grandparents, and the kids in your family. Give that call to your long lost friend. Friendships never have expiry dates. You can always make good memories with your friends. Give back to the less fortunate. You need not have millions to spread happiness. Volunteer for a teaching position for underprivileged kids on the weekend or simply distribute food to the hungry and homeless. It is guaranteed to make you feel peaceful and happy. Try music, dance, a new hobby, or meditating to make sure that you can enjoy your weekends and cultivate a talent. Go through best recommended reads and make your own to-read list so that you always have something interesting to keep you occupied.